Looking for more ‘Instagram-worthy’ spots in Paris? Attracting by significant Paris architecture? Check out our Paris Museums Guide where we share secret cafes and museums off the beaten path that will blow you away! Paris is a dream for architectural lovers. Even if you don’t necessarily know much about famous Paris architecture or famous French architects, you can still be stunned by these amazing buildings architects have gifted us. Or, take beautiful pictures in front of them to show off the most beautiful sites in Paris to your friends. So where exactly can you find the best Paris architecture? Follow us to traverse the past and the present of Paris to see these photogenic spots! This Gothic royal chapel has captured the hearts of many. The exquisitely designed stained glass is surely the most famous feature, recounting the story of the New Testament. It is said to be built at the expense of half of the kingdom’s wealth just to store the Crown of Thorns from Christ. 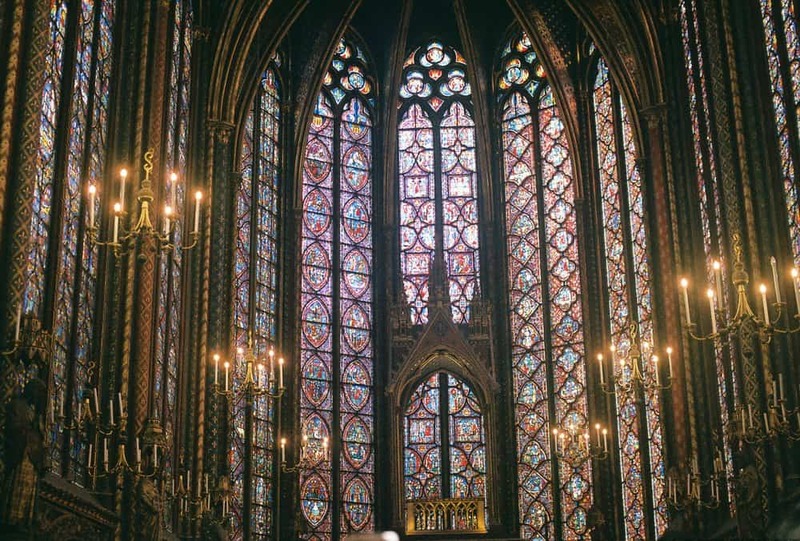 Whether it’s true or not, the French King Louis IX left us this holy palatine chapel to take our breath away. No need to explain much on this world-known Parisian monument that honors the French Army (and the great Napoléon)! 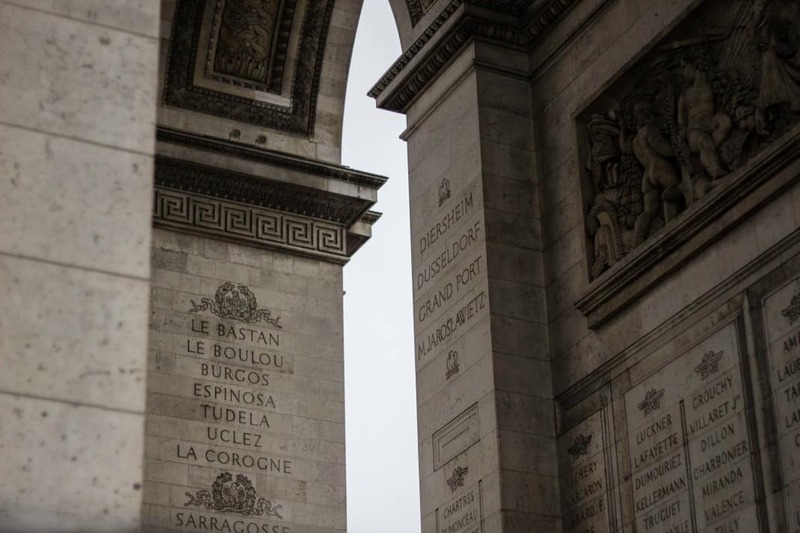 The exquisite sculptures at the Arc de Triomphe tell the story of major battles ever happened in France and of course, the French Revolution. Have a moment of silence around the Tomb of the Unknown Soldiers for World War 1 while you are admiring this historical art piece. Le Coupole is built in 1912 by the famous French architect Ferdinand Chanut with the talented glassmaker Jacques Gruber. 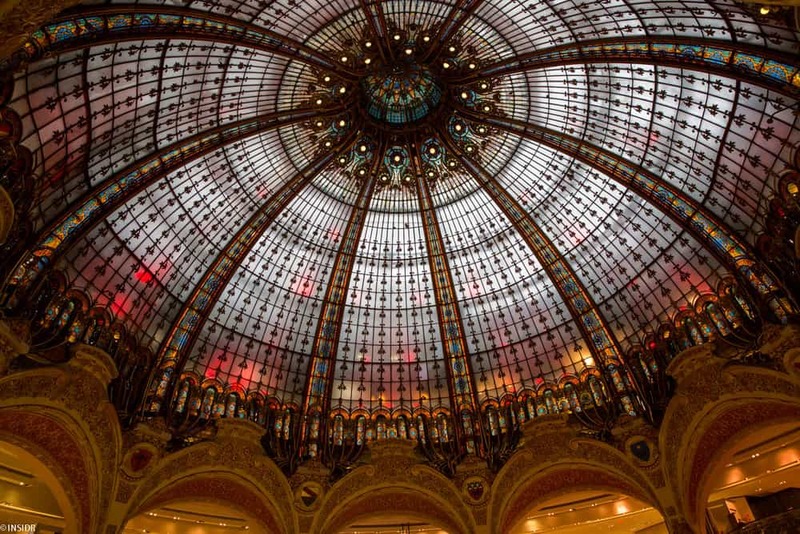 Everyone coming to the Galeries (even just for shopping) are clearly stunned by this beautiful dome with great historical value. There are heritages around the department store for you to discover, including l’escalier d’honneur, a very impressive piece of the bronze staircase. The Baroque-styled building is much more than just a commonplace for operas and musicals. It was designed by the young French architect Charles Garnier with marvelous interior decorations inside. Many art and architecture students come and do their fieldwork sketch here. 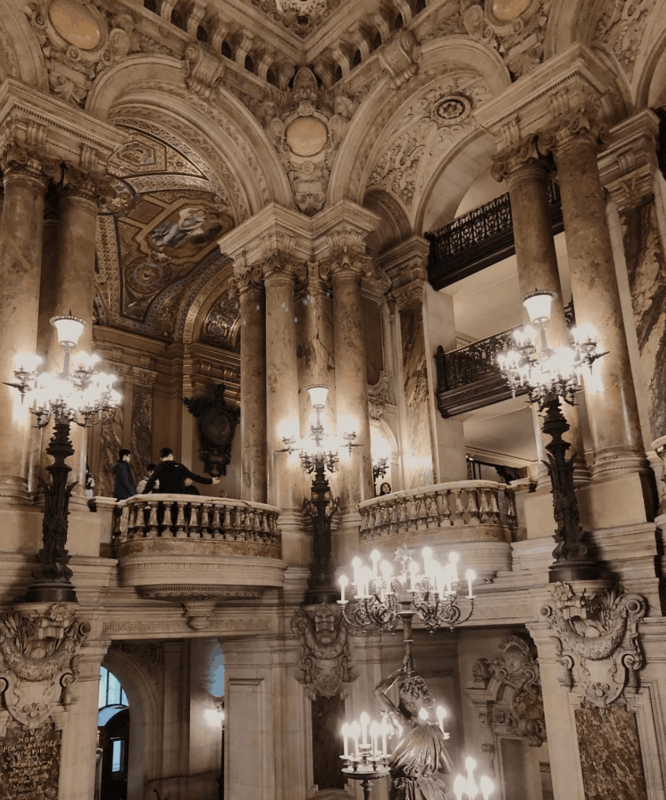 Every corner you pass around in the Opéra is a surprise: the grand staircase, chandeliers, columns, and statues that you would surely admire! Designed by the star architect Frank Gehry, this Foundation was actually inspired by the glass feature of the Grand Palais. The 11 galleries house various expositions throughout the year that are definitely worth visiting. The structure itself is mind-blowingly avant-garde, which is quite a stark contrast to the typical French Haussmannian buildings. The 3rd largest park in Paris holds 3 major concert venues such as the Zénith and Philharmonie de Paris. Against all the criticisms, the idea of this park was indeed to challenge the traditional French architecture. The architect, Bernard Tschumi, designed with the intention of creating a space that exists in a vacuum, a “non-place” without historical precedent. Such architectural deconstructivism is absolutely something worth appreciating. 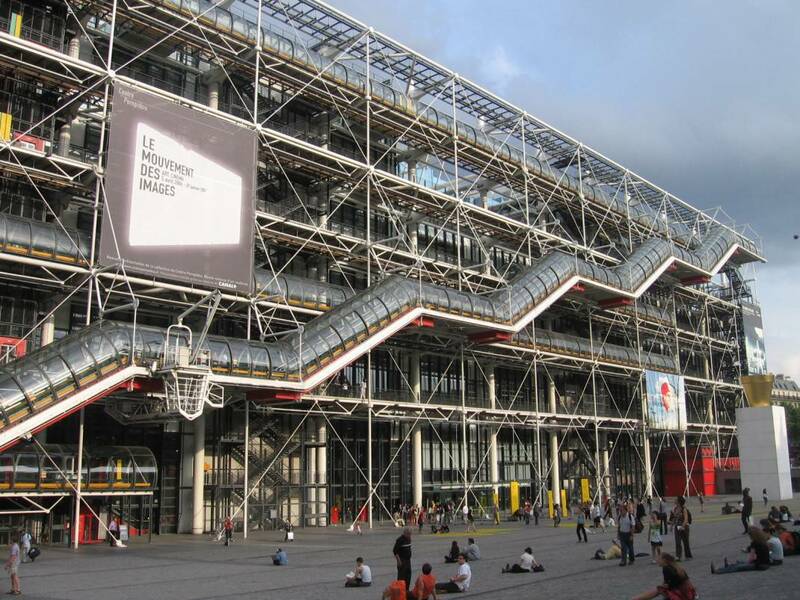 Celebrating its 40th anniversary, Centre Pompidou was once the most controversial building at the time. 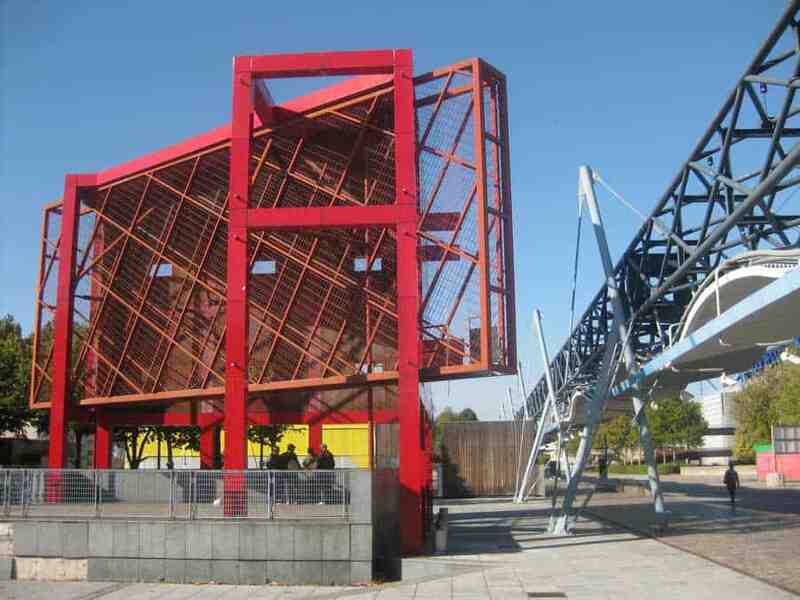 It was the collaboration of 2 very renowned architects, Richard Rogers & Renzo Piano. They strived to move all the interior structures (such as pipes and columns) to the outside of the building in hopes of emptying the inside of the building for more common space. It’s super spacious and clean indoor. Ready for an inside-out experience? 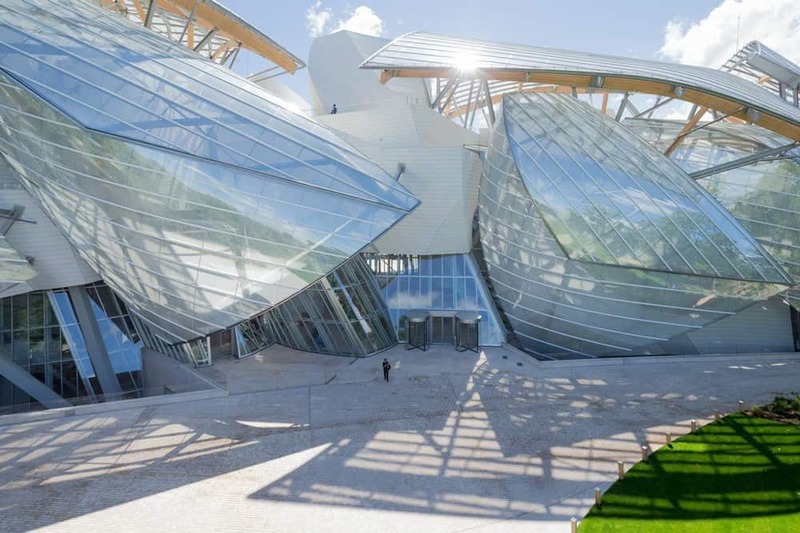 If you’re a keen observer, you will have noticed stark similarities in design between this building and the Fondation Louis Vuitton and that’s because they’re both designed by world-famous architect Frank Gehry. The museum and cinema hold one of the largest collections of film documents and paraphernalia in the world. On top of that, the archive offers daily screenings of films from all over the world. Tickets to film screenings are at 7€ and entry to the library is only 3.50€. La Cinémathèque française, façade, Paris 2017. 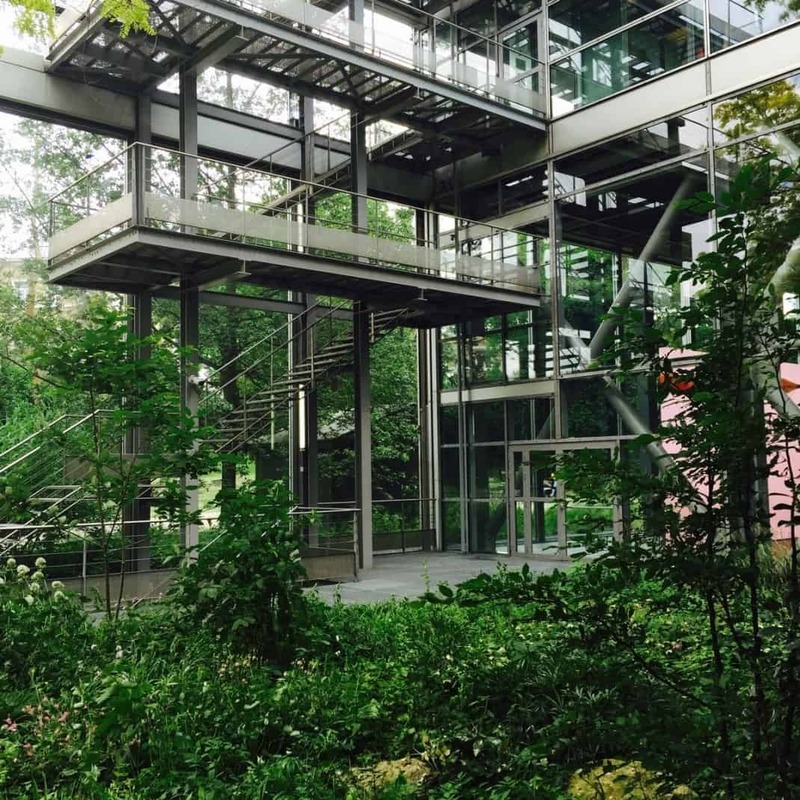 Fondation Cartier is a museum in the 14th arrondissement for contemporary art. 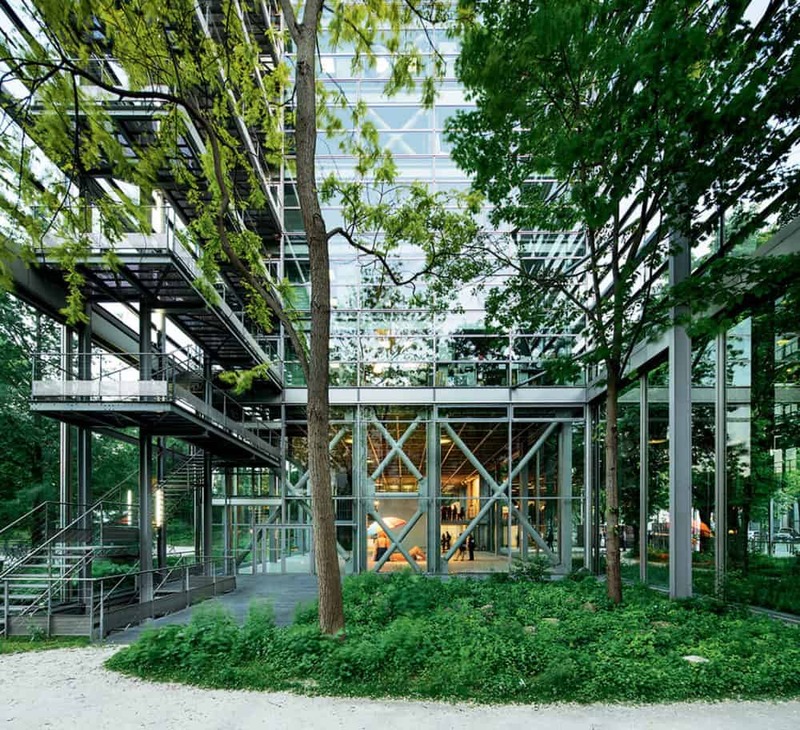 After 10 years of being in Jouy-en-Josas near Versailles, it moved into the airy glass and steel building in central Paris designed especially by Jean Nouvel, who is also the architect of the Institut du Monde Arabe and the Musée du Quai Branly buildings. 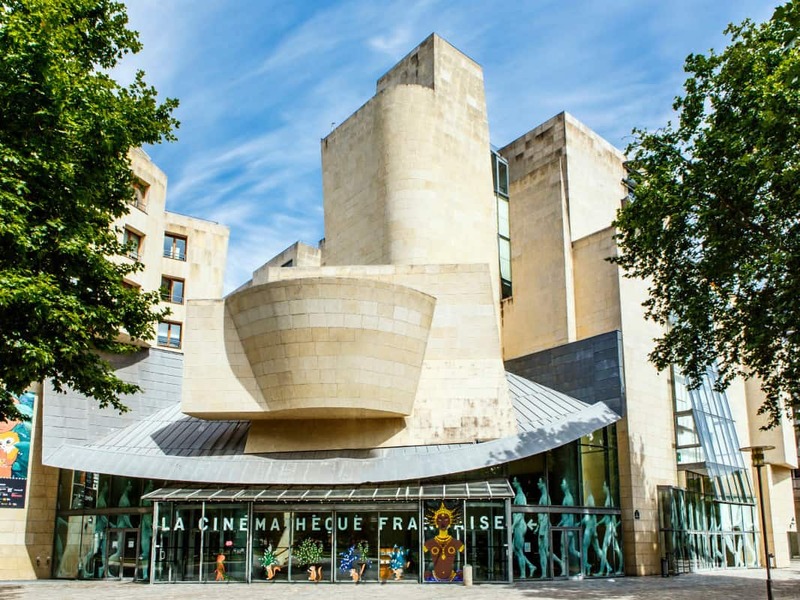 Apart from being able to see the seasonal exhibitions, you may also join the monthly Paris architecture tours of the building.